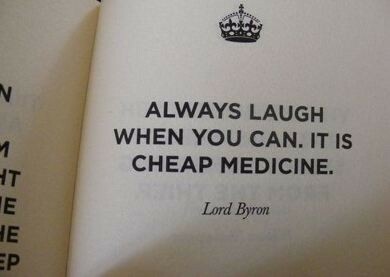 And as it turns out laughter really is the best medicine! Laughing can help lower blood pressure, reduce stress, decrease pain, relax your muscles, increase vascular blood flow and oxygenation of the blood, improve immunity, ease anxiety and fear, improve mood, and improve alertness, creativity and memory. I find that laughing and smiling (genuine albeit) is truly therapeutic. Making someone laugh, has almost the same effect. I have some ridiculously funny people in my life, so I'm happy to say that I laugh a lot. Some of my favourite laughs are those that take on a life of their own. You know the one's with a cackle or snort. What is cuter than a child's giggle? And I just love love love those infectious laughs that you can't help but laugh at! You know what I'm talking about. This was from our wedding day. I can't recall what we were laughing at, but his laugh gets me every time. There is even such a thing as laughter therapy. Strange, but funny. My hope for you today, is that you will laugh out loud. Like really loud. So loud that your tummy aches a little. I know I will because the hubby and I are heading to see Jerry Seinfeld on his solo tour tonight. I can't wait. Wishing you lots of laughter and love today!